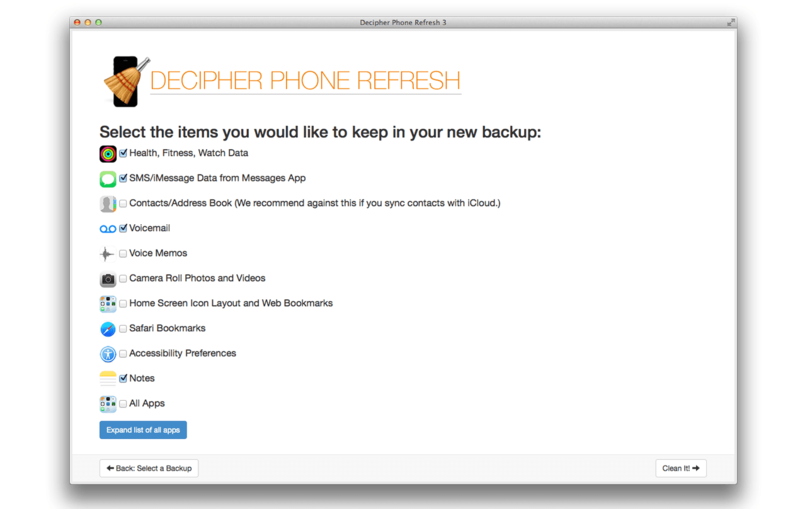 With the availablility of iCloud Health syncing, we've decided to discontinue Decipher Phone Refresh. For more information about how to use iCloud Health sync to transfer your Health, Activity, and Achievement data to a new device, we recommend this post from iDownloadblog. Read our FAQ: "Why are my Apps Still Installed after Restoring?" Read our FAQ: "Will using Decipher Phone Refresh/Decipher Activity Transfer overwrite my existing data?"